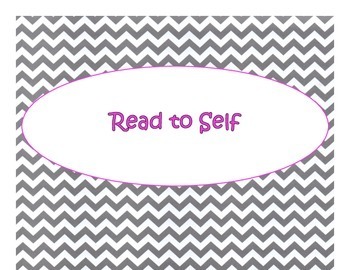 This set includes 5 Daily 5 (Five) Centers, Wall, and Bulletin Board Signs (Read to Self, Read to Someone, Listen to Reading, Work on Writing, and Word Work) in a Gray Chevron and Pink Lettering Theme. I suggest that they be printed on cardstock and then laminated for longer life. 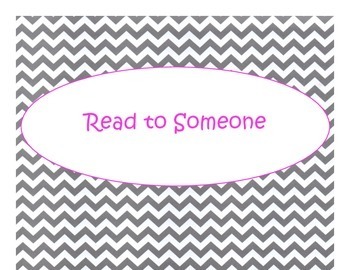 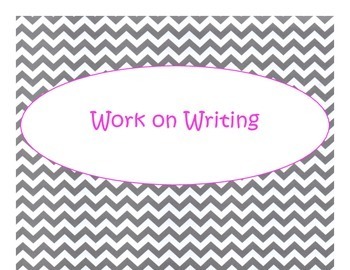 Daily 5 Bulletin Board Signs/Posters (Gray Chevron Pink Lettering Theme) by Rae Marie Livsey is licensed under a Creative Commons Attribution 4.0 International License.